It’s no great secret that I’ve been studying the Drifter Battleships since their early inception and introduction to Sisi. They have become a source of obsession for me because both the developing story and their behaviour as this new kind of AI fascinates me to no end. We have seen the AI develop slowly over time, learning and adapting to overcome whatever “new tactic” players come up with. Just when you think things couldn’t get any worse, the glass cannons evolve again to make sure you feel their dominance. Let me share with you some of their history that I’ve observed over the last 12 months. When we first saw the Drifter Battleships, their firepower alone seemed to be the most threatening thing of all, with their Lux Kontos turrets – the “conventional weapons” we can see floating in suspension above their hulls. They also had high speed and manoeuvrability, moving with the agility of a frigate rather than a battleship, with interception speeds of up to 4,500m/s. For defence, the Drifters had developed dual layer shielding (aka the “overshield”) with an ECM Burst countermeasure, so they couldn’t be simultaneously alpha’d by multiple ships. In the beginning, when you broke their overshield they would attempt to doomsday you, but you could warp off and dock or jump to another system to avoid the blast, despite them following you through warp in the same system. They then adapted to just scram you prior to the doomsday blast so you couldn’t escape death. Currently they’ve come to the point where they will scramble you from the moment they lock you, up to the seemingly impossible range of 500km and with 5 points of scrambling strength. At this point they also added a 40km, -60% webifier effect to their arsenal so if you get too close you’re not running away. To supplement that, they also introduced a 60GJ energy vamp with a 40km range as well, just to make sure any active tank you have doesn’t work anymore. Pretty much, 1 for 1, most people are going to be outgunned going up against these ships, unless they’re flying something pretty shiny. When I first encountered this version, their AI would just plain break on occasion. It generally happened if the target they were focused on did something that removed them from space – i.e: docked/used a wormhole or jumped. The Drifter would then sit dead in space, not moving, not attacking, zero, zip, zilch. You could attack, break their overshield without the doomsday firing (but oddly the ECM bust did still go off) and kill them without any issue at all. But invariably, this only happened when there was a single Drifter following/attacking you. Soon pairs of Drifters became the new norm and they were given proper names/designations other than just “Drifter Battleship”. You’d often see Artemis and Apollo flying in space together, going after a single target at a time. But once again my observations at this stage was that the AI had a tendency to break for one of the Drifters when its partner removed the target. During one of the Amarrian live events, when a large scale Drifter force turned up and a few NPC Navy Battleships were on field, I noticed another change of behaviour which only seemed to last for this event: independent targeting. When presented with a wide choice of targets, the Drifters wouldn’t necessarily work together. They were targeting, I assume, independently because the capsuleers were opening fire first and they’d simply react to it. This adaptation did result in some heavy destruction, although I believe that was mostly because not a single ship during this event had the tank to survive any of the doomsdays. Amusingly, however, the AI still had a few problems here. Once again I observed that, once a Drifter had killed its target, it would invariably just sit inactive in space. The next time I encountered the Drifters this behaviour had changed again. 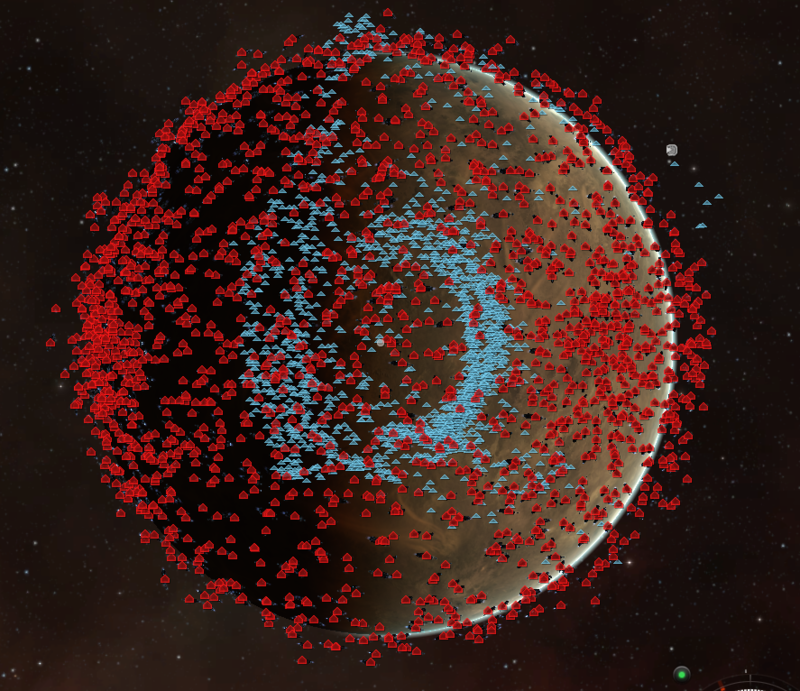 Swarms of them would focus and attack single targets at a time. Typically, they also seemed to almost fire at the same time, effectively alphaing people off of the field with their conventional weapons. This is where it almost seemed like AI perfection had been achieved. Drifters were working together, flying as one cohesive unit dedicated to killing one target at a time. They didn’t seem to break and idle in space anymore either. Next up was the Incursion AI phase. It continued to operate in similar fashion to the “v1.2” AI, except this time, when it came across a target that a group of them couldn’t kill, it would cycle targets until it found something it could kill, and then engage with the whole team. Similar to what we see currently with the Sleepers. This is the AI we can see in game today and it’s quite possibly among the most sophisticated ones i’ve seen. When the Drifters killed Jamyl Sarum in her Avatar, we even saw the coordination of an AI that could identify the most threatening target on the field and remove it from the equation. Just think about that for a minute; imagine putting an officer fit cap onto the battlefield. The AI would just assess the threat, go “lolnope” and just doomsday you off the field straight up because you’re too threatening to them. The only thing I can see changing with the AI and the way it performs currently is multiple threat assessments and multiple simultaneous targeting. Simply put, my observations show that currently, if there are 20 Drifter Battleships on the field and they go up against a friendly fleet of say 10 destroyers, each one of those destroyers will be targeted and fired on separately by those 20 Drifters. Considering that each lock takes 1-5 seconds and the gun cycle time is 4 seconds, realistically, each one of those 10 destroyers is killed every 5 seconds. So it takes approximately 50 seconds for all of them to die. The only way the Drifters could get more threatening is if they were able to assess that each one of those ships could be killed by a volley from 2 Drifter battleships each then kill them independently. Rather than destroying a fleet in 50 seconds, they would then do so in 5 seconds! Lets hope we don’t live to see that idea implemented! In all seriousness, the next evolution of the AI beyond the idea above is one I have a keen interest in seeing. I doubt we will see another evolution until at least the Drifter Logistical support/sleeper caravans and Capital support comes into play. At this point I imagine the AI almost going back to that of a child again, slowly learning and adapting all over again as the capsuleers begin to adapt and change their tactics. 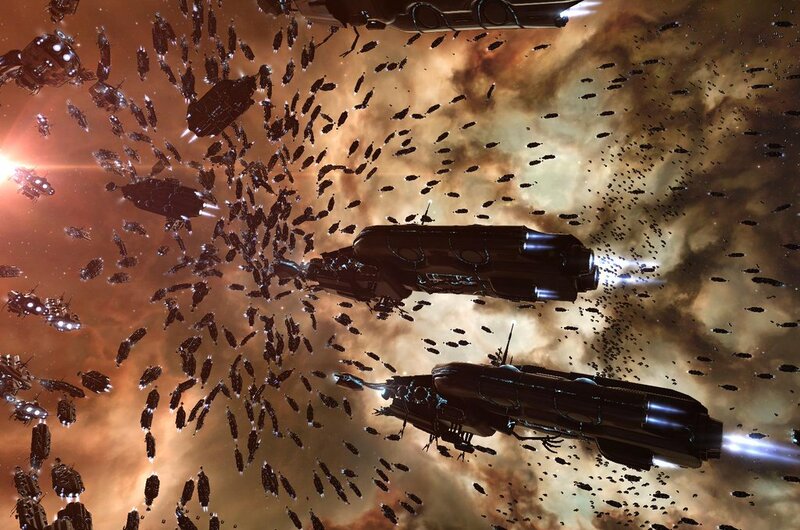 In addition, one other thing we have heard at Eve Vegas was that the next adaptation of the Drifters will be more a weapons change – essentially, their doomsday weapon can then be sig/speed tanked, apparently reducing its effectiveness in “frigate sized” ships. How this affects the AI’s behaviour we will have to wait and see. To balance this out a bit, I should point out that this development (in my eyes at least) hasn’t been without its pitfalls. I’m really happy with the way this AI has developed and is currently in use , and judging by the statements coming from some of the CCP team, they have been too. But it should be noted that it has been somewhat experimental and (I imagine) a learning experience. Invariably the “dead in the water” AI result did happen quite often in the past, but seems to have been pretty much cured now. I don’t know if this was designed in as “the child falling down while learning to walk” or if it really was a bug (it did seem pretty buggy). We’ve also had a few obvious and not so obvious problems with the Drifter Incursions. No doubt a year from now looking back at this report we will see that there is a simple way to beat the Drifters and we just haven’t seen it, given the tools we have available today, but I do really wonder whether the Drifter Incursions were originally implemented quite a bit before they were ready. To be honest, even the second implementation seemed to somewhat create that impression. I participated in the first Mass test on Sisi for the Drifter Incursions – I must say there was a significant turnout. During that test we came across the most amusing bug – when the system hit 100% completion, everyone’s maximum speed value was set to 0. We could all still lock, talk and activate modules completely fine but we were literally dead in space! This was patched and fixed a couple of days later, but the incursion completion value was brought back down to 0 and then removed until the problem was resolved. 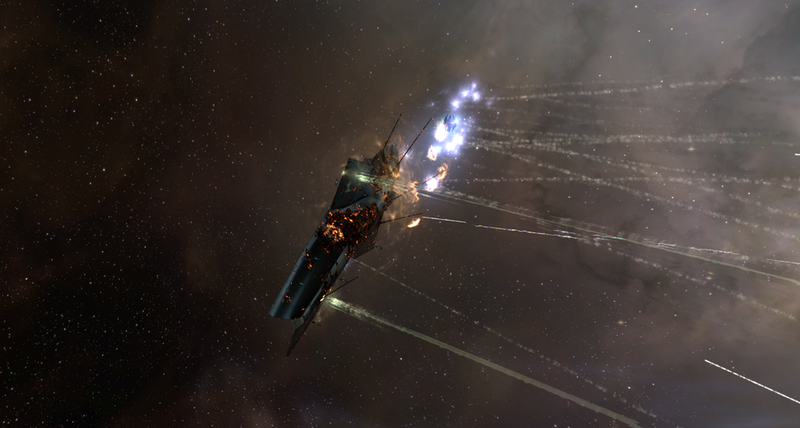 The Drifters were actually left active on Sisi for people that wanted to test out the new sites. In fact this is where my information was sourced from for my original site overview. Fortunately my analysis remained accurate once the sites got back onto TQ. Then for one reason or another they were having a negative effect on server performance, and on 27th August, shortly after implementation, the Drifter Incursions were deactivated. On November 10th, 75 days later, they finally returned to Tranquility, with a few noticeable adjustments. Interestingly, the rewards for all the sites were upped slightly, but the number of Drifters that were in them had remained the same. Additionally, the Amarr navy NPC’s had previously been useless at defending themselves in the “defensive” sites. Now, when the Amarr Navy had Guardians and Archons on the field they actually applied reps to the Battleships. Enough even for the battleships to usually survive until a doomsday went off. But again it didn’t last. Unfortunately, on the first day that they were back on Tranquility the AI had gone a bit screwy. The Drifters were actually attacking each other! They would shoot each other until there was only one Drifter left in each site. All that had to be done then to gain the reward is to lose one ship to the doomsday of the remaining Drifter and everyone in the fleet would be rewarded with the loyalty points and ISK! Luckily enough – following the next day’s downtime and server reboot, it seemed that this problem was resolved and the Drifters went back to their usual difficult self! Despite everything, the Drifters in these incursions are remarkably difficult and i’m still trying to find an effective way of doing the sites other than burning through destroyer hulls. As of the December 8th release it seems the rewards for the incursions have also been upped again. I also am interested in seeing when the new Synth Drifter drugs will make their appearance in the incursions, and whether that will draw more people to doing them.